You should really take the opportunity to get out and appreciate the northern lights in the near future. You're probably going to be seeing less of the northern lights over the next eight or so years. That sounds dire, but it's not. The northern lights aren't going to go away. However, the natural phenomena's dazzling tendrils will reach southward with less frequency and appear with less intensity, and will remain that way for quite a while. That means now is likely your best shot at seeing the life-changing spectacle unfold in real-life while it's still at its brightest. The auroras are dependent on the sun, and the sun has an 11-year cycle where it becomes more and less intense. We're currently headed toward solar minimum, which means less solar activity. That lessened activity is accompanied by fewer opportunities to see the northern lights for folks who don't live in the world's distant northern reaches. Here's what you need to know about the northern lights during this period before solar maximum returns around 2025. As you can imagine, solar storms and the aurora can get complicated and Macdonald cautions against oversimplifying maximum and minimum, saying, "Solar maximum is not a specific point in time. It's really like several years that the sun is more active." Likewise, the minimum isn't a day or a month, but a years-long stretch of time. 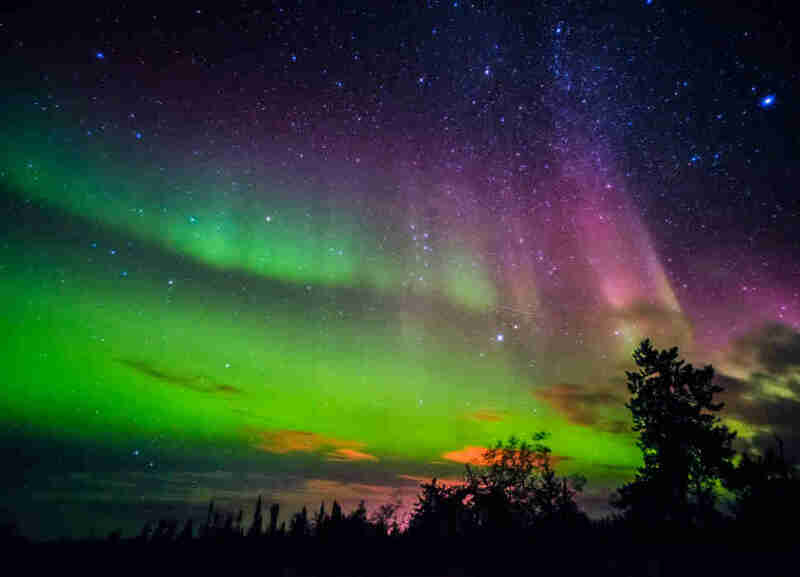 "The northern lights are less frequently seen during solar minimum, which we are approaching now," says Macdonald. "But, no, that doesn't mean you can't see the northern lights on clear dark nights at very northern latitudes like Fairbanks, Alaska and several other places at northern latitudes. You can basically see them all winter there, despite the fact that the solar cycle is at a minimum. "The solar cycle being at a minimum doesn't mean there are no storms, and it doesn't mean there isn't what I like to call 'everyday aurora.' It will just remain at high latitudes and less frequently be visible to lower latitudes, where most of us live." You may remember in early September there were a series of intense eruptions on the surface of the sun. It caused the northern lights to be seen as far south as Michigan and other parts of the northern continental United States. The eruptions occurred at an intensity that hadn't been seen in many years, but during a time when we're approaching minimum. Larger individual events can still take place even as the overall frequency drops. To further complicate matters, the solar cycle isn't constant. The maximum and minimum activity of each cycle varies compared to other cycles. As Dr. Nathan Case notes, most models predict we are headed toward "a period of particularly weak solar cycles, where the solar maximum of each cycle will not result in much solar activity." That means the next maximum probably isn't going to be as active as the maximum we're just leaving in the rearview telescope. 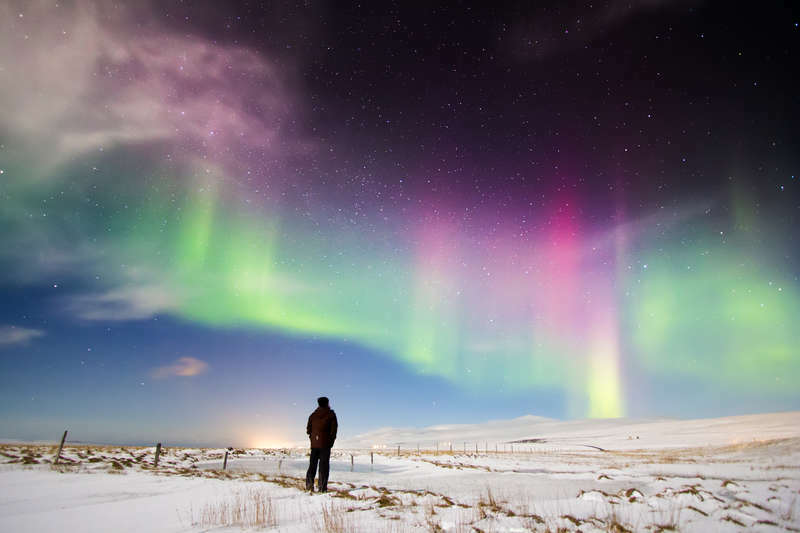 Setting the science of the solar cycle aside, here's what matters to travelers: The northern lights aren't disappearing. You'll still see them on your upcoming winter trek to Iceland. And occasionally you might get an event like in September where you can see the northern lights from the continental US, but it's going to become much rarer. 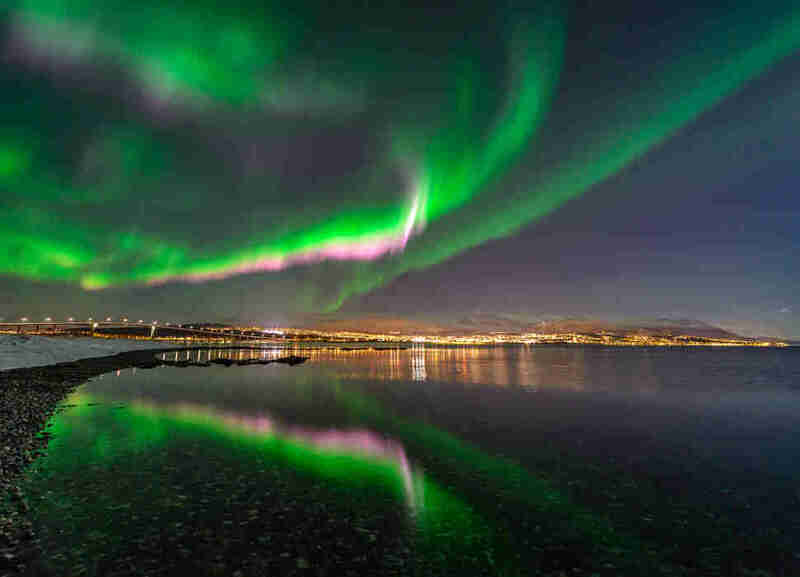 One recent study showed the number of aurora sightings below 56° magnetic latitude (roughly anything south of Juneau, Alaska) decreased quite a bit, even in the planet's weakest solar cycles. However, the number of sightings didn't fall to zero. There could be another major explosion on the surface of the sun tomorrow, providing an incredible display here on Earth a couple days later. It's possible. But the likelihood of that happening plummets during the period we're now entering. If that makes you despair, don't worry. The cycle will rise again. It will just take a while to get there. And that means everyone south of the Canadian border ought to take advantage of every opportunity they have to soak in the northern lights. Resources like Aurorasaurus and the Space Weather Prediction Center's 30-minute aurora forecast can help you find those opportunities. Or you could travel to places where the aurora isn't going anywhere. Some of those hot spots include the areas around Reykjavik, Iceland; Fairbanks and Anchorage, Alaska; Aberdeen and Isle of Sky, Scotland; Greenland; Yellowknife and other parts of Northern Canada; Luosto and Kakslautten, Finland; Svalbard, Norway; Siberia, Russia; and the Swedish Lapland. The lights aren't going out, but they're going to get tougher to see unless you're reading from an area where you need a parka nine months out of the year. Dustin Nelson is a News Writer with Thrillist. He's occasionally lurking north of The Wall. Follow him @dlukenelson.